That's me. I offer exposure no other Agent in South Florida can match. 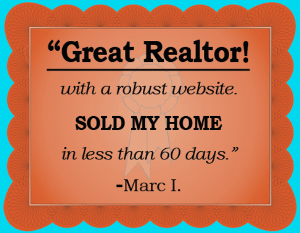 How can you tell which Real Estate Agent is best at Internet Marketing? Simply type "Fort Lauderdale Real Estate" into a search engine, see who appears at the top of the generic results. These are the keywords most frequently entered by buyers searching for property throughout Broward County, and they yield over 25 MILLION results. It takes special expertise in Internet Marketing to rise to the top of the generic results in this category. Chances are that's how you found my website to begin with. Well, potential Buyers are going to do the exact same thing. So type the most popular keywords into the most popular search engine, see whose website appears near the top of the generic results. Then think about who knows more about online marketing. My site (www.fortlauderdalebeachproperty.com) is one of the highest ranked real estate websites in Fort Lauderdale and South Florida. In fact my personal website usually appears higher in search engine results than sites for most of the major Real Estate Agencies in town, specifically sites for franchises of large national chains. Averaging over 1,150 page views PER DAY it is translated into 18 languages and viewed from over 30 countries worldwide, with an average 1,915 real estate searches daily. And I can actually prove it. 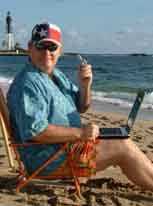 Click on the links in the box below to see traffic reports for my website from the world's largest search engine. The first question a prospective Seller asks, naturally, is how much their home is worth. In response to this concern we offer a Complimentary Home Value Analysis. Click on the Button below and we will work up a free estimation of your property's current market value. The second question a prospective Seller asks is usually what has sold in your neighborhood and for how much. You can get much information from the Broward County Property Appraiser website, but that does not tell you what recent transactions have gone through the MLS, the market's main database. Again, if you'd like to see a report of recent sales in your neighborhood, click on the button below and fill out the form. We will prepare a report of property sales in your area directly off the MLS. When you list with me, your home is entered into my own exclusive internet-based marketing program, which I have developed through my extensive expertise with advertising and marketing over the worldwide web. This program is designed to get your property featured prominently online, to create more traffic and showings, so your home can sell as quickly as possible. Now I realize many other agents will say much the same thing. But you can check on me. That's because you can actually FIND MY WEBSITE in the search engines. Simply enter the most frequently used keywords ("Fort Lauderdale Real Estate") into the world's most frequently used Search Engine, find my site (Fort Lauderdale Beach Property dot com) near the top of the generic results. That's what Buyers do. Prospective Buyers interested in Real Estate in South Florida type Fort Lauderdale Real Estate into a Search Engine and hit Enter, see what pops up. As a result, when you list with me your home will be featured in front of more prospective Buyers. That is simply a fact. Inescapable. Easy enough to verify. 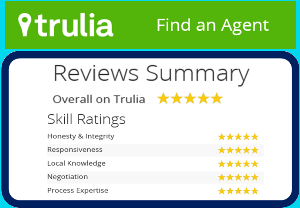 It gives me an edge over any other agent you might want to consider. 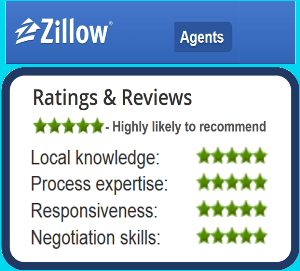 When you list your home for sale the first thing you want is an Agent you can trust. Deal with me, you are dealing with a VERIFIABLE EXPERT in online marketing. You can look me up in the search engines, find my website. In addition, you are dealing directly with The Expert himself. I am "hands on." I do my own website. I do my own digital marketing. This is knowledge and expertise that I possess, a marketing program I personally developed through my own expertise. I am not quoting key phrases out of my company brochure, telling you things my Broker tells me to tell people to get their Listing, so we can slip it into the standard agency marketing program.